Until now, the only Thesaurus on my shelves was Roget’s, and it was gathering dust because I quit using it years ago. I found it more useful to look up a word in a regular dictionary and see what synonyms were offered. Not ideal, but it gave me more options than Roget’s. Oxford American Writer’s Thesaurus. 2nd edition. Compiled by Chrstine A. Lindberg. The title says it all. It’s a writer’s tool that, for practical versatility, compares to a camper’s Swiss Army Knife. The main section contains about a thousand pages of entries. Unlike Roget, the OAWT gives the word in context before offering synonyms. Do you ever have a word on the tip of your tongue, but you cannot think of it? You can’t even remember what letter it begins with, but you’d know it if you saw it? There’s a section for that. In the Word Finder section words are arranged in categories: animals, architecture, food, music, etc. Then there are sections for Archaic Words and Literary Words. Maybe you want to remind yourself what a dangling modifier is, or review how to punctuate titles. 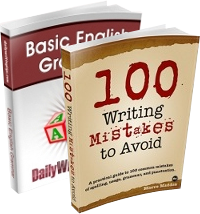 Go no further than the Language Guide, nearly 50 pages of clearly presented rules of grammar, spelling, punctuation, plus tips for avoiding common errors. And, wait, as they say on the infomercials, there’s more! Scattered among the entries in the main section are boxes containing helpful and entertaining notes on usage and connotation. There’s so much good stuff in this reference book that I’ll probably want to tell you more in a future post. For now, a comparison of one entry in the Oxford American Writer’s Thesaurus with the same word in Roget will explain some of my enthusiasm. -PHRASES take someone aback everyone in the church was taken aback when the groom’s ex-wife stood up and objected to the marriage: surprise, shock, stun, stagger, astound, astonish, startle, take by surprise; dumbfound, stop someone in their tracks; shake (up), jolt, throw, unnerve, disconcert, unsettle, bewilder; informal flabbergast, floor, bowl over. 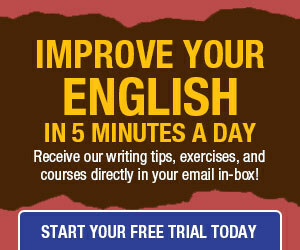 Click here to check Oxford American Writer’s Thesaurus on Amazon. Now that’s… what’s the word? …handy! Sounds like it’s worth a look. Thanks for posting! Great analogy! I’m a big fan of the thesaurus, and in fact, I blogged about my trusty thesaurus not too long ago. I’m looking forward to checking out the OAWT. Thank you for bringing me back to the future! For those using one of the more up to date Apple Mac computers, you may have this thesaurus already built in to your machine. Have a look at the Dictionary program in the Applications folder. I see mine (Mac OSX 10.4.11) includes the OAWT 1st edition. This Mac OSX feature can additionally be accessed directly by just holding certain keys down and hovering over the word(s) in question. Hold the Command-Control-D keys down then hover over words and see their definitions. Select your preference as either thesaurus or dictionary in the Dictionary preferences. I just read your piece on old Roget. Nice. I have to admit that I was a Roget browser once upon a time. Went to the bookstore, looked at it, bought it, used it, love it. Any english, as in UK, equivalent? I have Roget’s II (recently updated version), but/and this sounds like checking out. A Swiss Army Knife is SOOO useful! Wow, that sounds cool, Marc. It may influence my getting a Mac in the future. I’m thinking about it.